This is the first page in a series that will feature the top seven builds or builders of trial machines in this category and brand of machine, in my opinion. So we start with Ariel. The Seven builders or builds will get one photo each for now, and then the page will be built on like all of the rest are, as new information, or updates come to my notice. So has I say this is my opinion, of the top Seven in this category there are more, and I have eight already for Ariel without thinking. but If we stick to Seven for Seven makes we should not run out of space on the pages. Andrew took eighteen months to construct this marvel of engineering with his own hands, from the frame build, to machine every little part, and then making them lighter. Not only that but he took up the challenge of then converting a 350 cylinder head to fit the 500 stud pattern no mean feat this. But Andrew is a precision engineer in his work and one of a kind in his field of marine engineering, that has used his skills in the workshop, to overcome a major problem in that industry. 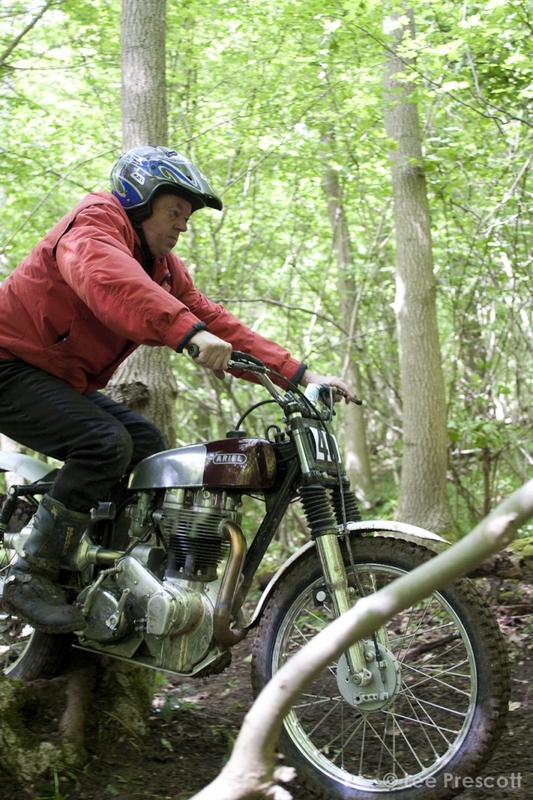 Andy is in his own words, not a brilliant trials rider, but enjoys testing his machine, and has ridden it in the Scottish trial and the Manx Classic a couple of times too, and has he says it has not broken the machine. 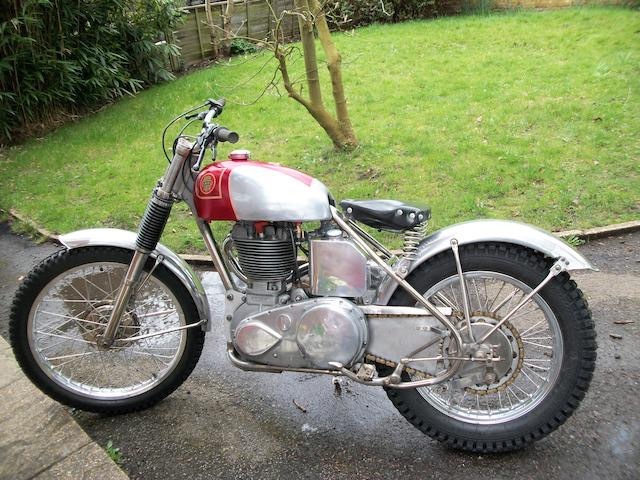 Unfortunately Andrew has sold the Ariel now he tells me, but is thinking about building another . we cant wait Andrew. Mick not only that, found that parts were not available so set about getting them made, like the gear clusters he sells, and the belt drive assemblies. But then lent this Superb Machine to Mick Andrews and Alan Whitton, for there chosen rider to use. How much of a commitment is that. I hope Mick still has the machine, but I wont know until I have spoken to him. So More Later, on this one. Well you have to include the man himself in a top seven Ariel builds don't you. We all know that it was this man that started to try and get perfection from an Ariel trials machine . And it was Sam that helped us down the path of not leaving any bike standard, but using every means possible to change the design and image of a machine. I could write reams about the Sammy Miller Ariel builds. but you have all heard it before and even on these pages. We all know that Sam has a good eye at trying to convince us that the Ariel's he has built are all actually GOV132. but we now know different don't we. That is not saying that the builds of these bikes has not been magnificent and true to the original concept. So there you Go Sam you are in the top Seven Ariel Builders. 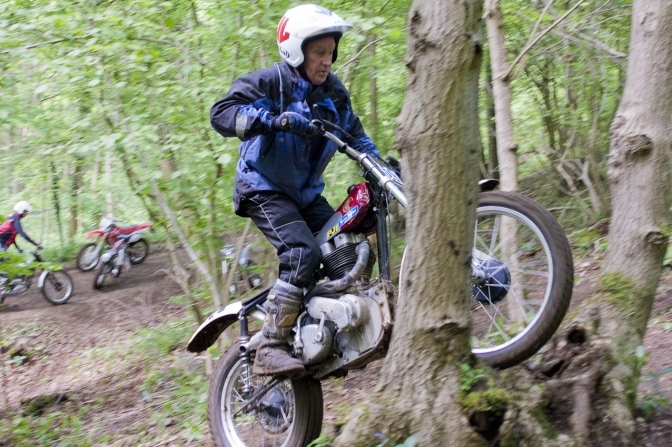 Mick although a top class road racer, his first love was trials riding. 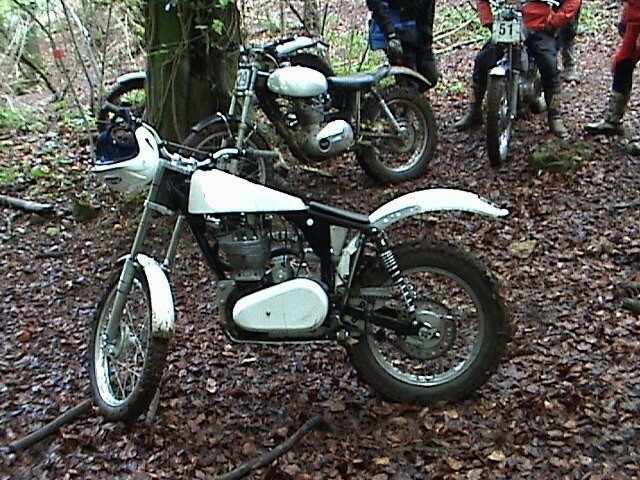 And when the Classic Trials scene started decided to build the best Ariel trials machine that he could. The first machine was constructed using the Sammy Miller concept, get every thing has light as possible. and build the bike to suit your way of riding, by tweaking the head angle from a normal Ariel build, and then make the engine suit your riding style too. This first machine is now in the hands of Martyn Wilmore and he says the machine handles to perfection. The second Ariel build above took development to a New level. The frame was lighter still, to the extent of being on the limit. The engine was basically built of new castings designed by Mick and Martyn Adams of Serco fame. What has actually been used in the engine has remained a secret, but I have what is said to be a cylinder head casting, and I can see from that, that it can be machined differently. Mick also was the first to use a Villiers S22 carburettor on the machine and said to be sorted with the help of Peter Gaunt. This machine now lives with Paul Edwards, but Mick still looks after the machine. An Ariel built for a big man. 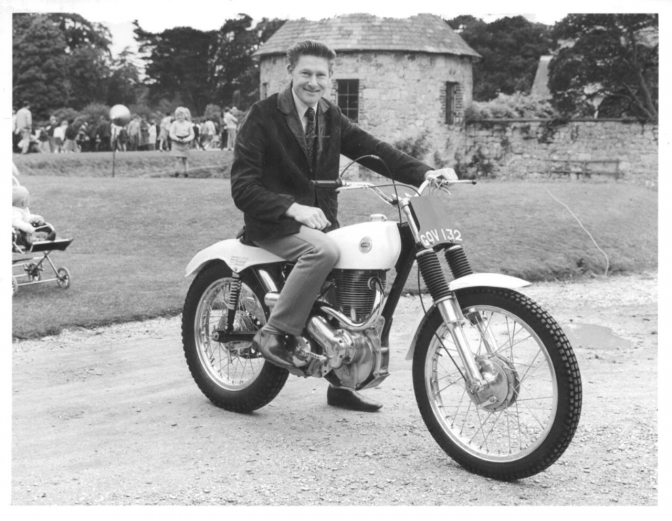 After a ride in the Scottish two day trial on a Royal Enfield, Neil decided to build himself an Ariel that he could win the trial with. 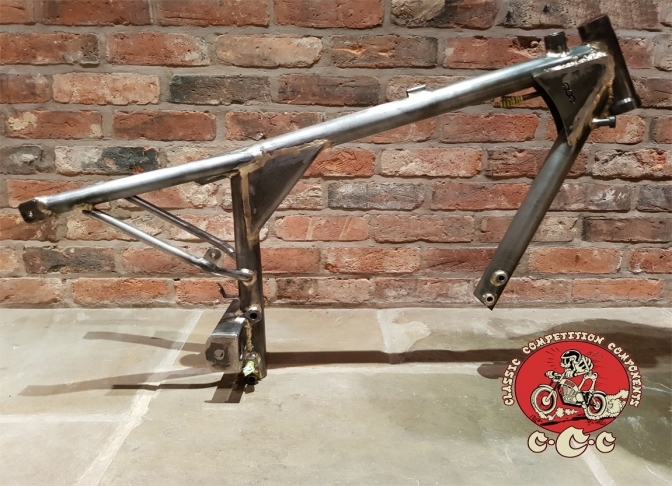 Neil sketched the outline of the frame onto his newly painted office wall,using his modern Montesa as a guide, this frame was then constructed by frame builder Paul Jackson. A belt primary drive was constructed by a young machinist that Neil knew. 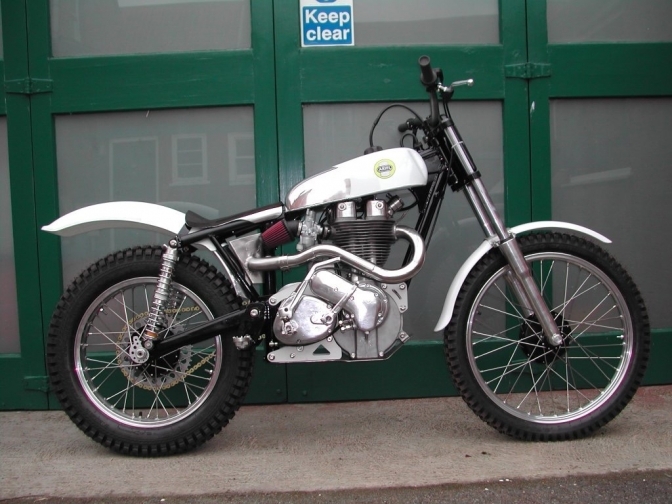 Forks were from a Caciva trail bike machined to fit into the statutory Norton lower sliders. Alan Whitton hubs were fitted like on most of the builds now. And a Scottish win was achieved on the machine. The bike is now in the capable hands of young Ben Butterworth and only lost out on a win in Scotland again because of a count back. But there is always this year Ben. Ron Langston Ariel Trials Outfits. I just could not leave this Ariel build out of the Top Seven. I grew up competing against this machine on a weekly basis in the winter months of the sixties. 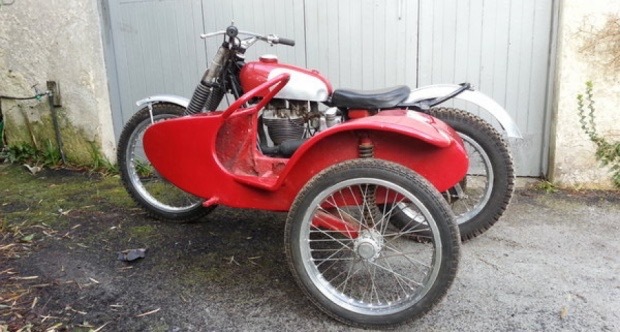 I still think this sidecar is a thing of beauty, and in a little way had a part in its construction? Well I had just built a nose for my BSA Gold Star outfit out of fibre- glass and Ron and Doug took a look at it. Weeks later this glorious image appeared on the scene, and a winner first time out. But it was the engine of this machine that was special built by tuner Ken Turner I am told? as was most of the other work on the machine carried out by him, as well as the Langston family too. The only way you could understand how this motor pulled was to hear it ,and that note still rings in my ears at times and I only wish we could see it in motion again. The second build that Ron now has back is probably just has good a machine using a HT frame and alloy chair, unlike the HS of the outfit above. And the last time I saw this in action Ron driving was at the Colmore Revisitment. Where do you start with this prolific builder of trials machines, and he still has one of these above in his garage to finish now, just hope you can Jim. Jim's first comment about the Ariel above was what an awful paint job on the tank. Well you know Jim has a page on this website for his builds. and I keep getting owners of machines that Jim has built over the years contacting me on a weekly basis. And machines keep turning up which proves that the Jim Susans built Ariel frames last and are still treasured by owners old and New. Now I could go on with the Duncan McDonald Ariel. and he even has done GOV132 to that. But I said SEVEN so this is where I stop?
? You know there will be More Later. NEW Frame builders Classic Competition Components have just started in business building classic frames for Ariel and AMC singles. Here below is their Ariel frame. The Ariel frame is £1050. Tim's Phone number is 07936881748 give him a call.